Preheat the oven to 400F. 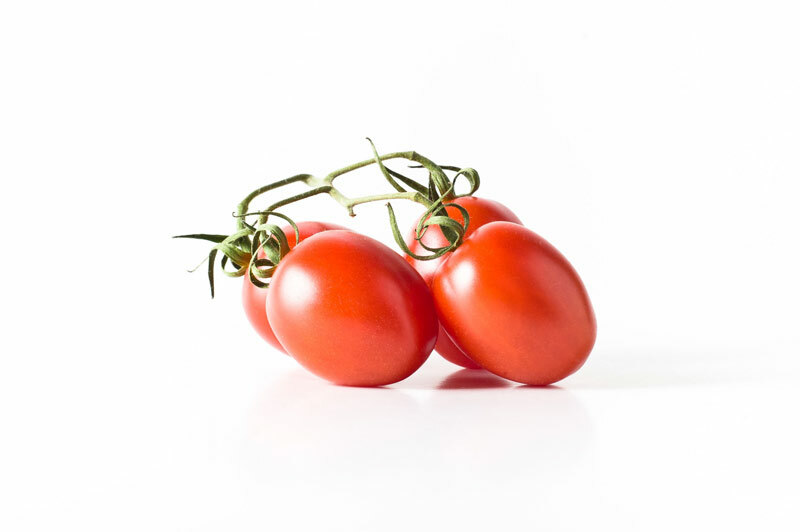 Toss the strawberry tomatoes with 2 teaspoons of olive oil and season with salt and pepper. 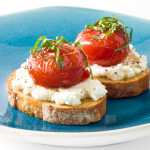 Place in an oven proof dish and roast for 15-20 minutes or until the tomatoes just begin to burst. Remove from the oven, stir with the balsamic vinegar and set aside while preparing the remaining ingredients. Brush both sides of the baguette with olive oil and place on a tray. Bake the crostini until golden, about 10-12 minutes. Chiffonade the basil: Stack and roll up the leaves the slice thinly. 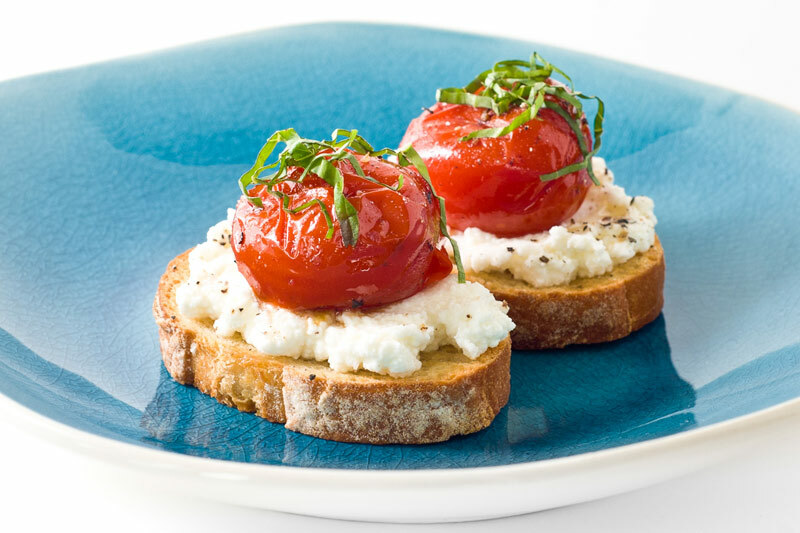 Assemble the crostini: Spread half a tablespoon of ricotta on each toast, top with a tomato, sprinkle with basil and finish with a sprinkle of salt and freshly ground pepper. Enjoy immediately. Browse the Recipe archive. This entry was posted in Recipe. Ingredients: baguette, balsamic vinegar, basil, Houwelings Strawberry Tomatoes on the Vine, olive oil, ricotta, salt and pepper to taste. Course: Appetizer. Cuisine: Light & Fresh. Rating: 0 stars. Bookmark the permalink. Both comments and trackbacks are currently closed.